When it comes to sketching and communicating your ideas well, nothing beats a good old-fashioned pencil and a keen sense of perspective. That said, adding depth to your form sketches with light and shadow is a natural next step in taking your sketches to the next level. 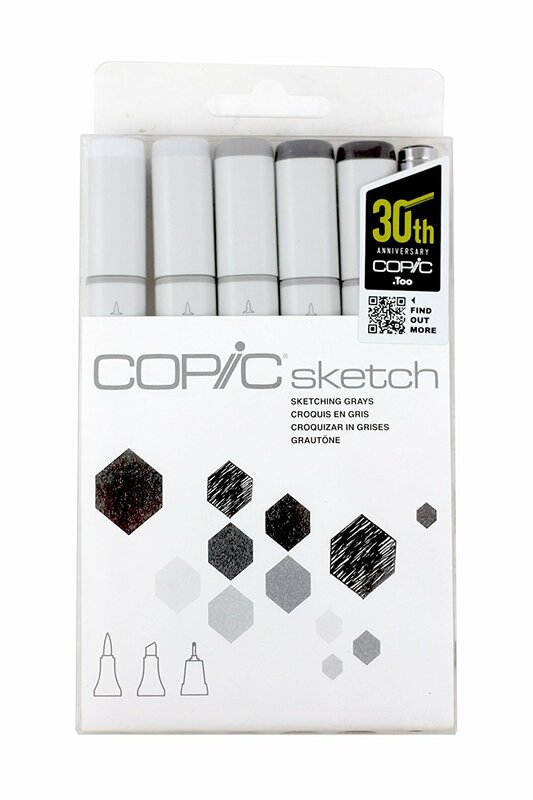 When it comes time to cranking ideas out fast, our favorite go-to is a fistful of 2-3 Sketching Grays from Copic that give us great contrast. These ultra-blendable, low odor, alcohol-based inks deliver rich and smooth strokes that are ideal for quickly communicating product concepts. And unlike water-based inks, which tend to pill and oversoak paper while blending, Copics mix on the surface fast and easy-like. 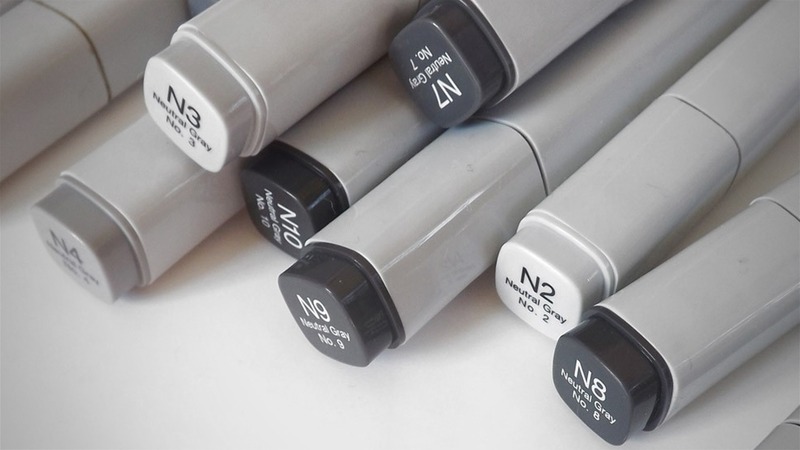 While there are plenty of Copic marker sets out there, we recommend sticking to this compact six-pack of Sketching Grays for maximum versatility. If you want to get extra-fancy, try adding a single bright ‘pop’ color for your arrows, callouts, and anytime you want a callout to really stand out. And don’t forget that marker paper pad, too!